Abbey Whisky – Their Latest Whisky Arrivals! Abbey Whisky has 8 New additions to it’s range this week with whiskies from the Islay and Speyside regions. The brands include Macallan, Glenfarclas, Aberlour, Ardbeg & GlenDronach. The ages of the new whiskies range from 12 to 58 Year Old malts. The Green Welly Stop Has The Ardbog In Stock! The Green Welly Stop has the famous Ardbeg Ardbog in stock at the moment! Originally launched at their Feis Ile open day for 2013 this Islay malt will NOT be on the shelves for long! What’s New From The Whisky Barrel? The Whisky Barrel has 7 New additions to it’s range this week with whiskies from the Highland, Islay and Speyside regions. The brands include Bruichladdich, Glenfarclas, Glenfiddich, Heaven Hill, Old Pulteney and Port Charlotte. The ages of the new whiskies range from 15 to 43 Year Old malts. Summary: Old Pulteney Navigator Highland single malt Scotch whiskey. Limited edition matured in ex-American bourbon and ex-Spanish Sherry casks. 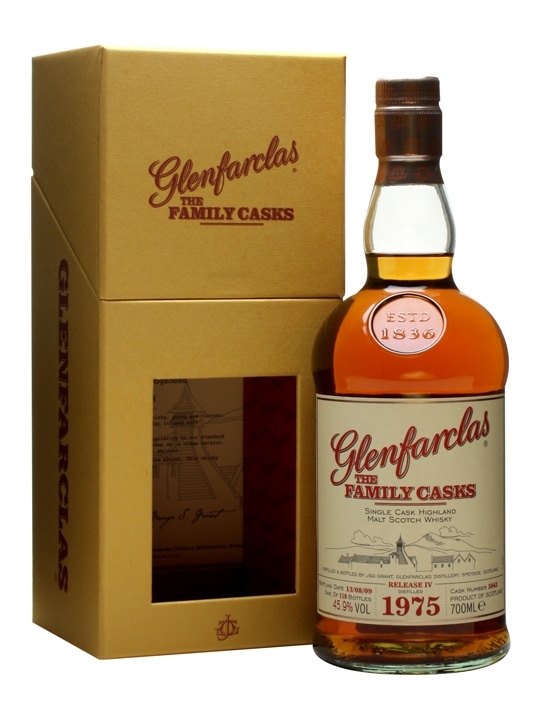 Summary: Glenfarclas 43 Year Old Cognac Cask Speyside single malt Scotch whiskey. Matured for 43 years in ex-Cognac casks. Summary: Glenfiddich 15 Year Old Distillery Malt Batch 19 Speyside single malt Scotch whiskey. Limited edition distillery only bottling presented in a wooden box. Summary: Bruichladdich Islay Barley 2007 vintage single malt Scotch whiskey. Made with barley sourced from a single field at Rockside Farm on Islay. Matured in American oak casks. Summary: Bruichladdich Scottish Barley Islay single malt Scotch whiskey. Flagship Bruichladdich Scotch distilled using only 100% Scottish grown barley and matured in American oak casks. Summary: Port Charlotte Scottish Barley Islay single malt Scotch whiskey distilled at Bruichladdich distillery. Heavily peated single malt amde with 100% Scottish grown barley and matured in American and European oak casks. Bumper New Arrivals From The Whisky Exchange! The Whisky Exchange has a stonking 175 New additions to it’s range this week with whiskies from regions and / or countries such as: American, Australian, Campbeltown, English, Highland, Irish, Island, Islay, Japanese, Lowland and Speyside. The brands include Aberlour, Allt-a-bhainne, Ardbeg, Ardmore, Arran, Auchentoshan, Balvenie, Banff, Ben Wyvis, Benriach, Benrinnes, Bowmore, Bruichladdich, Bunnahabhain, Caol Ila, Cardhu, Clynelish, Convalmore, Edradour, Glen Garioch, Glen Grant, Glen Keith, Glen Mhor, Glenallachie, Glendronach, Glenfarclas, Glenfiddich, Glenglassaugh, Glenlivet, Glenlossie, Glenmorangie, Glenrothes, Glenturret, Highland Park, Islay Whisky, Isle Of Jura, Knockando, Lagavulin, Laphroaig, Ledaig, Linkwood, Littlemill, Longmorn, Macallan, Mortlach, Old Pulteney, Rosebank, Speyburn, Springbank, Strathisla, Tamdhu, Tamnavulin & Tormore. The ages of the new whiskies range from 5 to 46 Year Old malts. 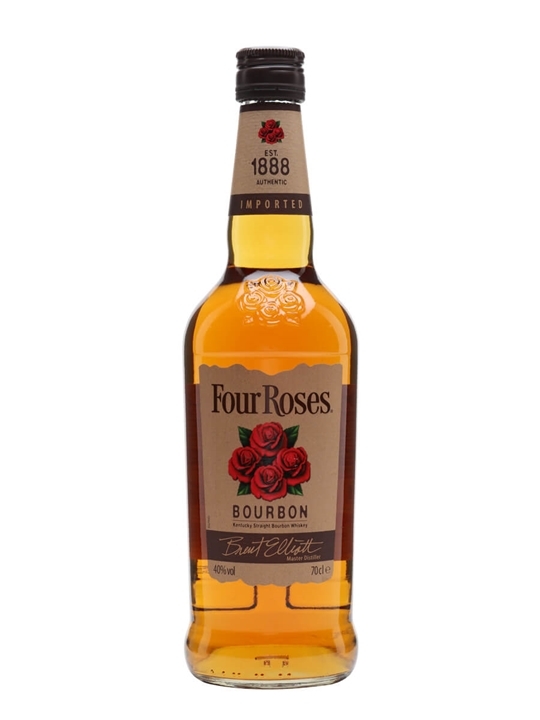 Summary: 70cl / 40% – Very popular bourbon, aged a minimum of five years in oak barrels for extra smoothness and carefully blended for a consistently smooth, creamy flavour. 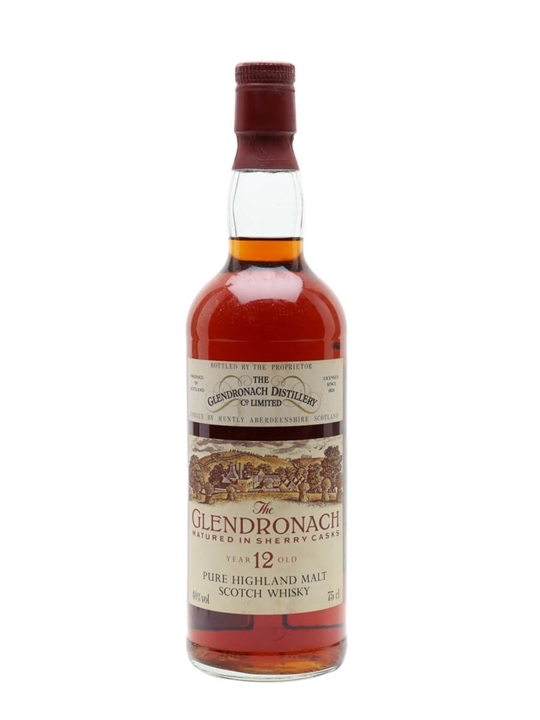 Summary: 75cl / 40% / Distillery Bottling – A richly coloured sherry cask matured dram from Glendronach, matured for 12 years and bottled sometime in the 1980s. This is the historic style that the 21st century revival of the distillery is now harking back. 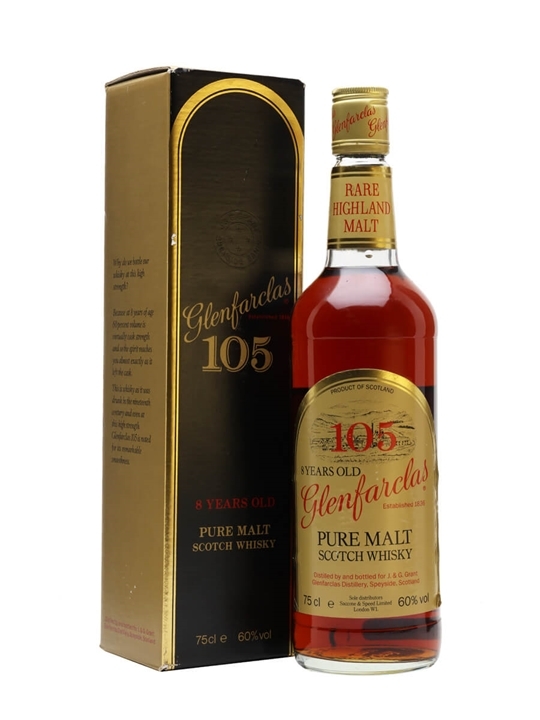 Summary: 75cl / 60% / Distillery Bottling – An old release of Glenfarclas's 105 proof whisky. This whisky was 8 years old at the time of bottling, which we believe was during the 1980s. 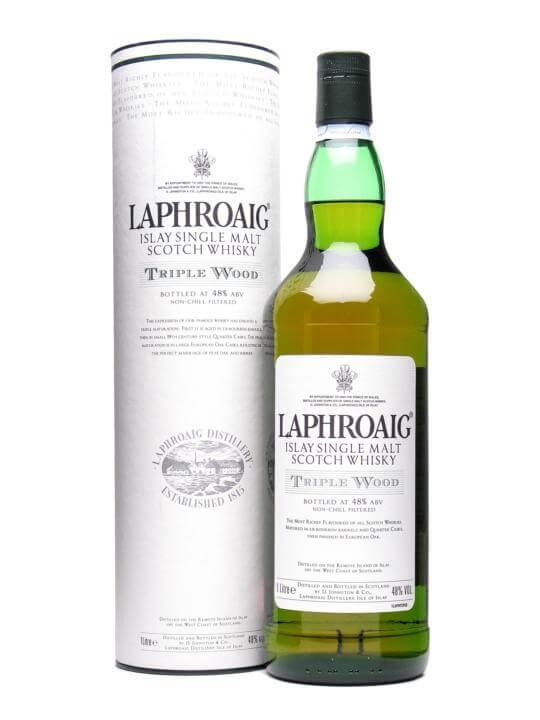 Summary: 100cl / 48% / Distillery Bottling – A litre bottle of Laphroaig Triple Wood, originally released only in Duty free. This is akin to a Quarter Cask finished in sherrywood. Summary: 94.6cl / 50% – A very old bottle of Kentucky Straight Bourbon. Produced at Berheim distillery and bottled in 1943. 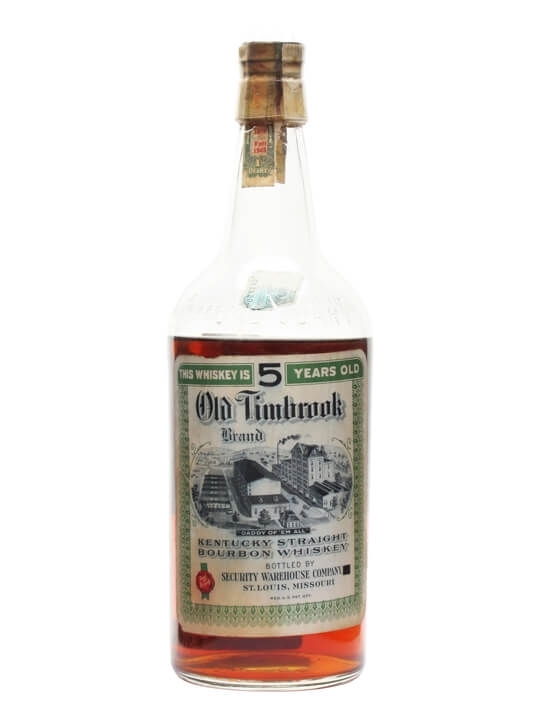 This Old Timbrook 5 year old comes in a US Quart-sized bottle, which makes it just under a litre of very rare, vintage bourbon. 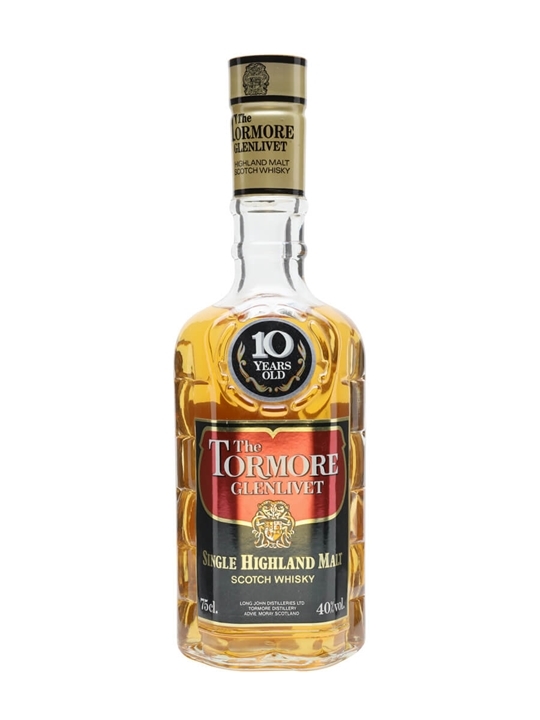 Summary: 75cl / 40% / Distillery Bottling – An old bottling of Tormore at 10 years of age. A large proportion of Tormore's production is used for the Long John range of blended and blended malt whiskies. We estimate this was bottled in the 1980s. 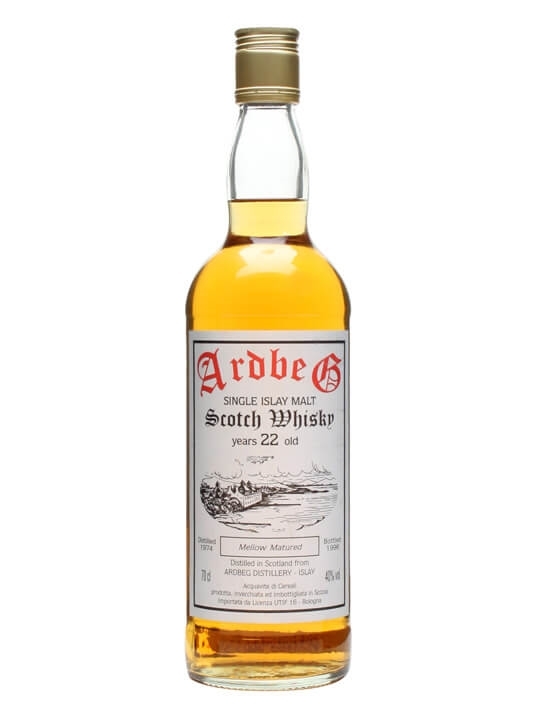 Summary: 70cl / 40% / Independent Bottling – An Italian independent bottling of Ardbeg from their legendary vintage of 1974, widely considered to be the last vintage of old true peaty Ardbeg. The maltings at the distillery closed in this year and the malt brought in was not as peaty. 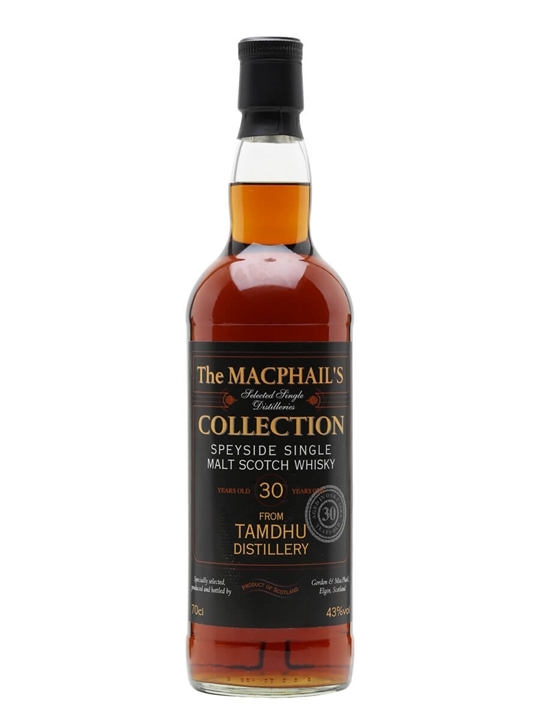 Summary: 70cl / 43% / Gordon & Macphail – A great value long-aged Tamdhu 30 bottled at 43% by G&M as part of their Macphail's Collection. 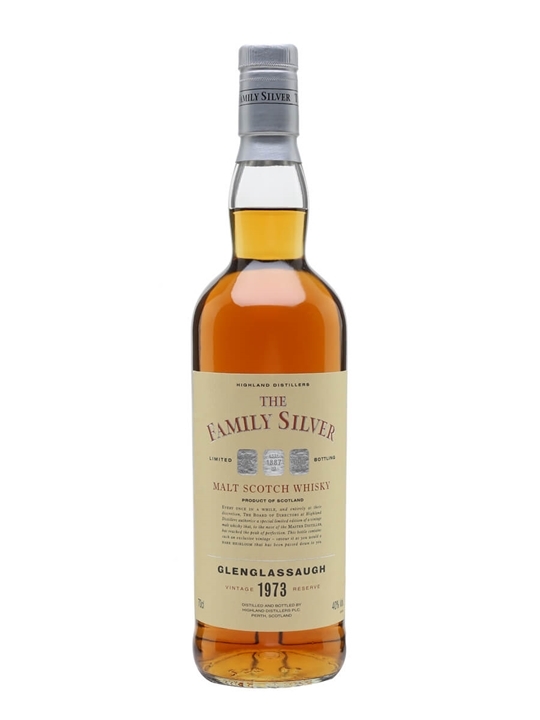 Summary: 70cl / 45.9% / Distillery Bottling – The Glenfarclas Family Casks series is a range of vintage casks from one of Speyside's best distilleries. 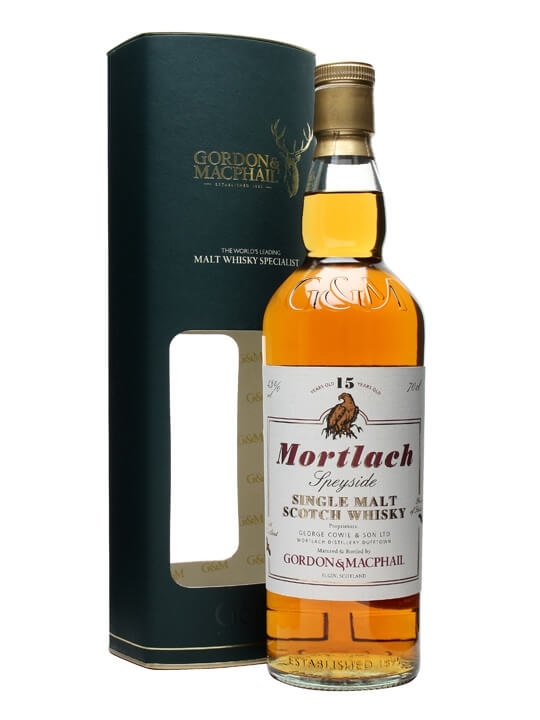 Summary: 70cl / 43% / Gordon & Macphail – A 15yo Mortlach from indie pioneers Gordon & Macphail, bottled at their now-standard strength of 43%. 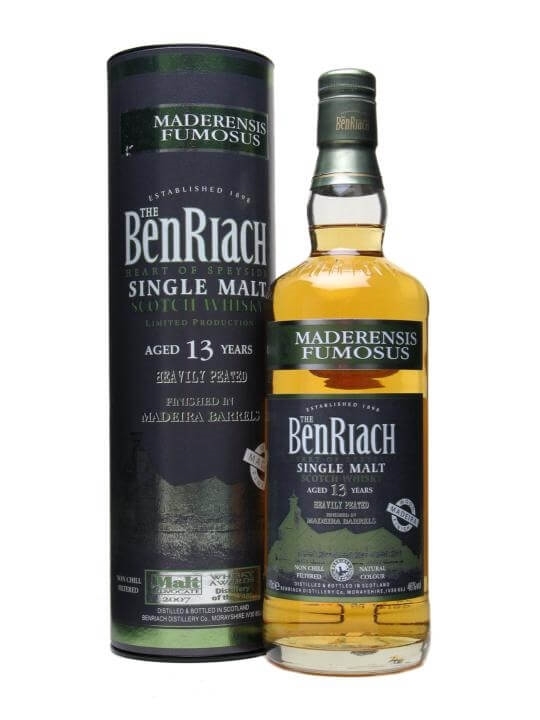 Summary: 70cl / 46% / Distillery Bottling – A recent Benriach 13yo continuing the faux-latin-names theme of recent releases, this Maderensis Fumosis has been finished in Madeira wood. 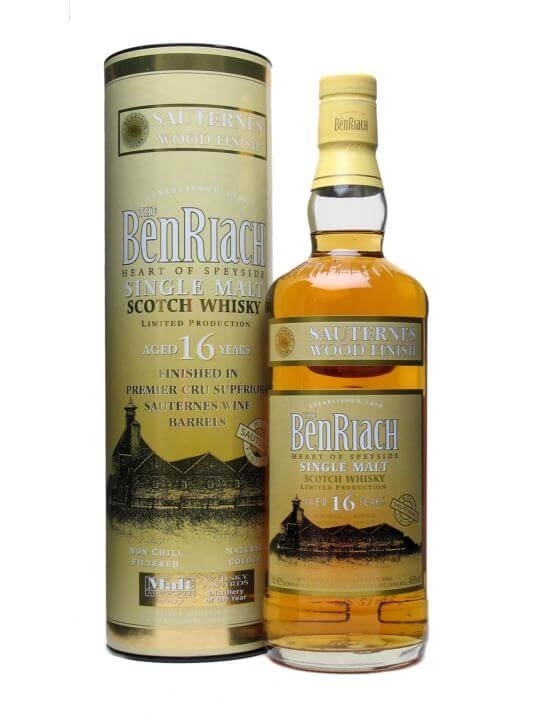 Summary: 70cl / 46% / Distillery Bottling – A recent Benriach 16yo that has dispensed with the Latin naming system, this has been finished in Sauternes. The standard issue 16yo is a terrific dram, so this should be very interesting. Master of Malt – Latest Whisky Stocks! Master of Malt has over 90 New additions to it’s stock this week with whiskies from the following regions and / or countries: American, Campbeltown, Canadian, French, Highland, Irish, Island, Islay, Japanese, Lowland, Speyside, Taiwanese and Welsh. The brands include Allt-a-bhainne, Arran, Auchentoshan, Ben Nevis, Benriach, Big Peat, Bladnoch, Bruichladdich, Bunnahabhain, Caol Ila, Cardhu, Clynelish, Cragganmore, Craigduff, Craigellachie, Dalmore, Deanston, Edradour, Glen Garioch, Glen Grant, Glen Keith, Glen Moray, Glendronach, Glenfiddich, Glenlivet, Glenlossie, Glenmorangie, Glenrothes, Hazelburn, Highland Park, Ileach, Imperial, Laphroaig, Linkwood, Longrow, Macallan, Mortlach, Old Pulteney, Strathisla, Teaninich & Tomatin. The ages of the new whiskies range from 4 to 44 Year Old malts. 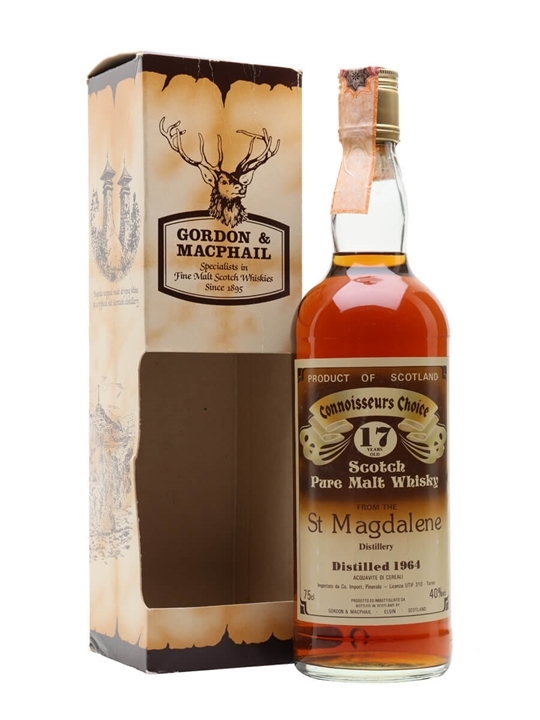 75cl / 40% / Gordon & Macphail – A very rare bottling from St Magdalene distillery. This 1964 vintage whisky has been matured for 17 years and bottled by Gordon & Macphail for their Connoisseurs Choice series. We can’t get enough of these old-style brown labels.